Although we had the SpidoSpeed up for review before (click here), we also wanted to give the Black Orange version a try. Hey, we are Dutch! 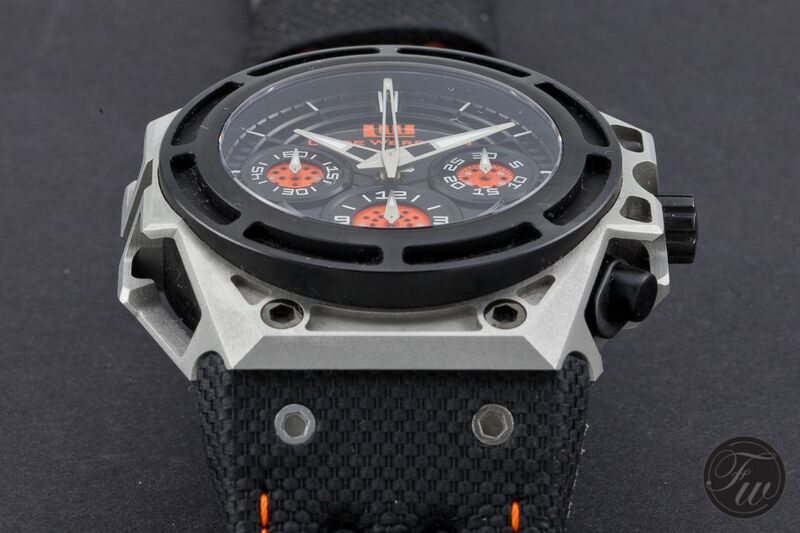 The triple review means that Fratellos Bert, Dennis and RJ wore the watch for a couple of weeks and give their opinion about this SpidoSpeed Black Orange. For the technical explanation of the Spido-family cases or information about its Concepto movement, read our previous blog articles (here and here) on the watch. This triple review is purely about end-user experience of the watch. How does it wear? How does it operate? All photos have been shot by Bert, except for the one below, which has been made by Robby Wilde. Friend of the show. The test panel: Bert, RJ and Dennis. Ever since I got the first Linde Werdelin in my hands I’m excited when we have one incoming. 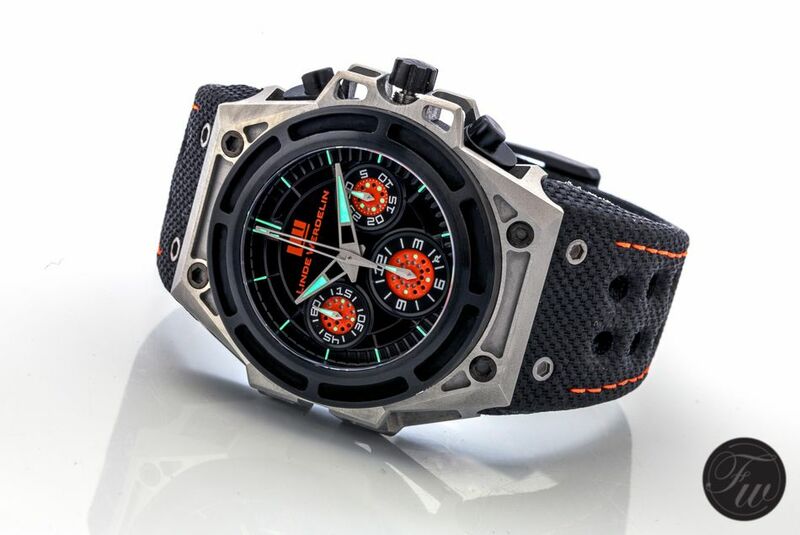 This time it’s the Dutch Spidospeed from our friends at Linde Werdelin. Ok, I hear your guys think, ‘Dutch Spido?’. Just think of any sport event where the Dutch show up ‘en masse’ and you’ll know that we have a thing for orange. Personally I’m not into watches that measure over 42 mm, a category the Spidospeed definitely doesn’t fit into with it’s 44 x 46 mm futuristic looking case. But for some reason you don’t really notice it. Once you strap it on you simply forget it’s there. It’s just soooo comfortable! Where most big watches tend to walk around your wrist when you like to wear it a bit loose (like I do) the Spidospeed just sticks to it. The Dutch Spidospeed turned out to be quite an eye-catcher. I’ve had a lot of different watches on my wrist, from fancy dress watches to mechanized ecological creatures, and this piece definitely got the most attention. 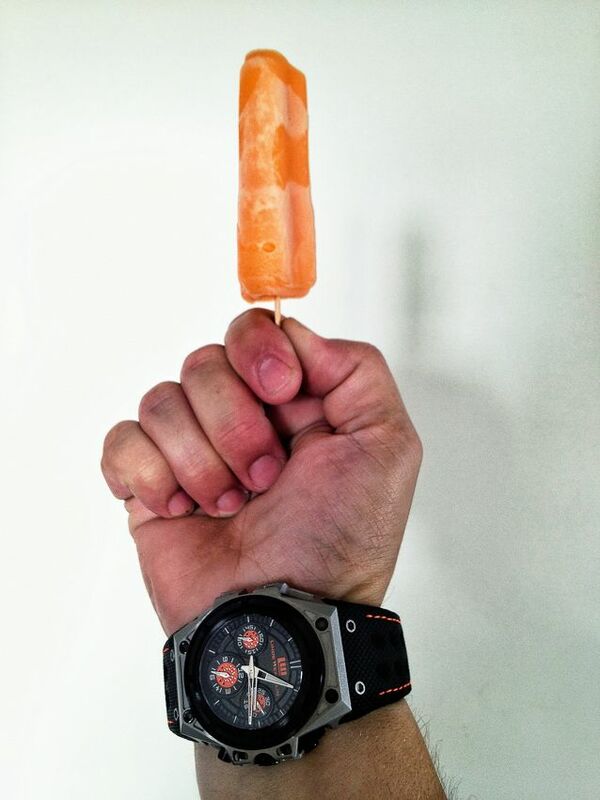 Perhaps the Dutch tend to react to orange details by nature but this watch turned out to be noticed a lot. 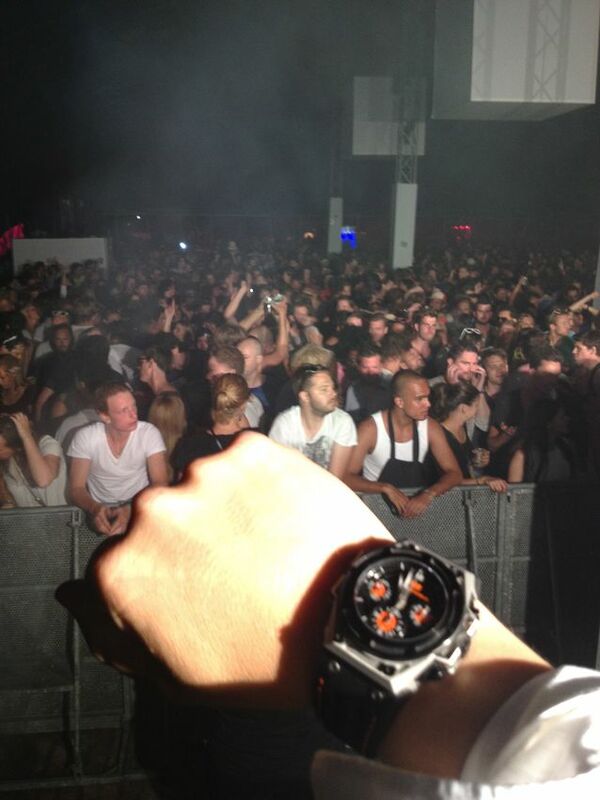 Even people who don’t have a thing for watches (yes they exist) seemed to have an interest in ‘that thing on my wrist’. The only downside I can think of is the crown. The crown guards are protruding quite far and the crown is neatly tucked in leaving very little room for grip. I’m not handicapped (sorry buddy) with the enormous fingers Dennis has but even for me it’s hard to open the crown. Overall it’s a great watch which I enjoyed a lot. 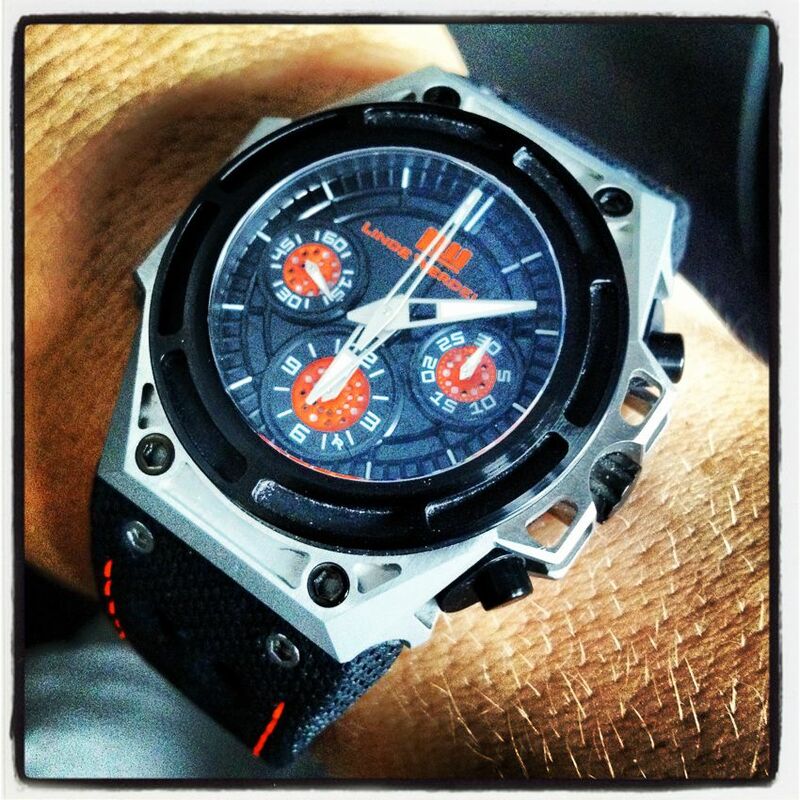 A little while ago, we received the Dutch SpidoSpeed from our friends of Linde Werdelin. Just for a few weeks of wearing and testing, to see what the Fratellos would think of it. 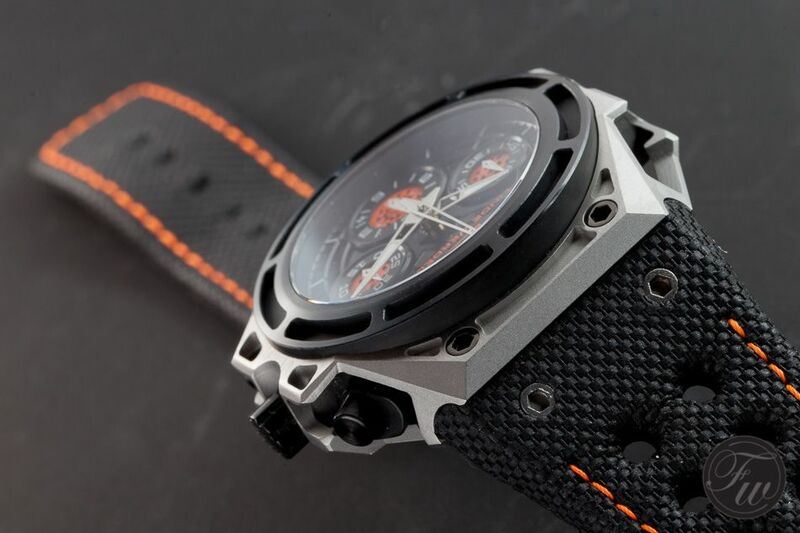 Overall, the SpidoSpeed Black Orange is a very fine timepiece and makes a good and solid impression. Definitely built – and designed – to last forever. 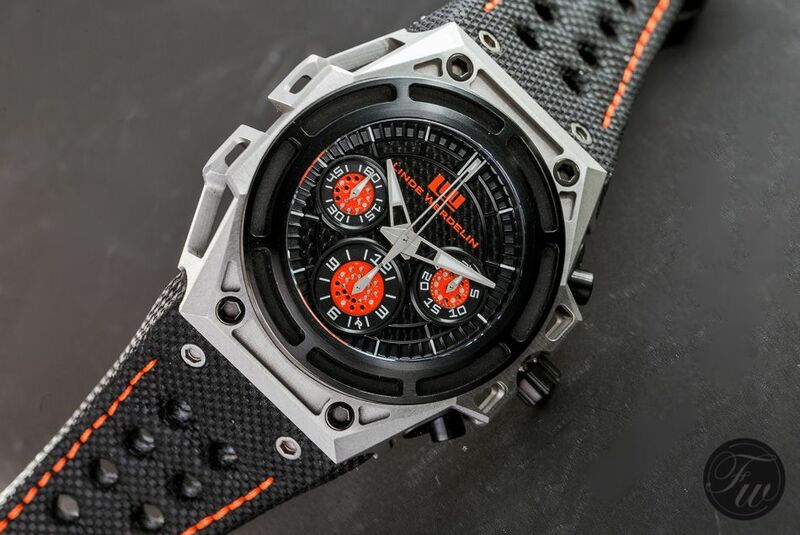 The design of the case is unmistakably Linde Werdelin and in combination with the orange and black color scheme, it has just the right attitude! Very Linde Werdelin. As Bert already hinted, I am the tallest of the Fratellos and my wrists are fairly large (to say the least). Small watches look plain silly on me. The SpidoSpeed is a perfect alternative for me. It sits nicely on my wrist and noticed that the Spido also does very well on the less obese size wrists. As Bert said, the specs on paper could scare people off, but the size is just right! The SpidoSpeed, with all its sharp edges, is super comfortable. Probably not the first thing you would think if you’d see it. One of the small remarks I have about this SpidoSpeed is the fact that the strap was too small for me (but perhaps it is possible to ask for a longer strap) and that the operating the crown was simply too difficult. 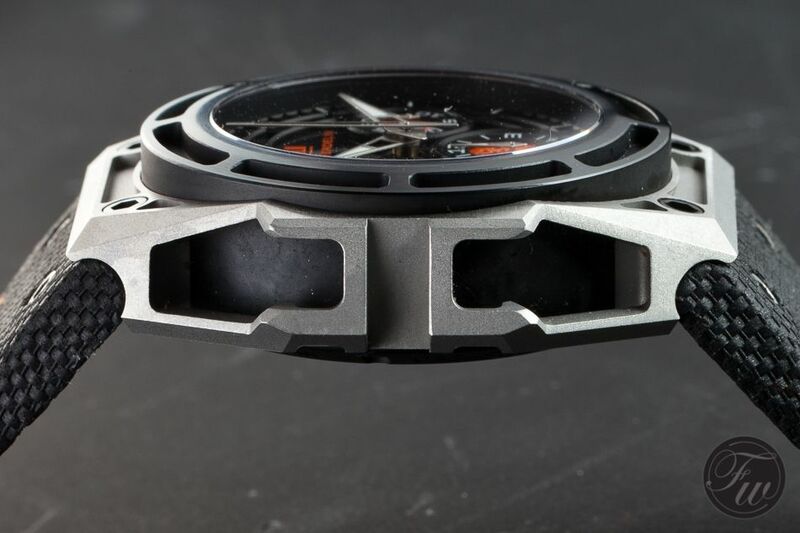 However, I’ve heard that Linde Werdelin did some modifications to the SpidoLite model regarding the crown, so that might be a great alternative to those with large hands. Linde Werdelin was one of our first official sponsors of Fratellowatches which means we go back for quite some years now. Once in a while, they sent me (nowadays it is ‘us’) a watch to fiddle around with and to try. This means that in some cases it can be trial & error in case of prototypes and sometimes, like this SpidoSpeed Black Orange, we get an actual production model. I love chronographs, it is not only the most popular complication of mechanical watches (‘date’ feature is actually the most popular complication, but is it really one?) but it is perhaps also the most useful complication. I tend to time my travels, my schnitzels, the time it takes to booth my iMac, to time my espressos (25 seconds) or just play around with the start, stop and reset buttons. When Jorn Werdelin told me they were releasing a chronograph, some time ago already, I was more than excited. To be honest, they didn’t let me down. I really love the Spido family and the SpidoSpeed in particular. I’ve worn the SpidoSpeed Black Orange for two weeks, almost three, and I really love it. It is a modern sports watch with no specific heritage. A lot of watches out there are based on existing models or on its predecessors that have been there for – some times literally – decades. Morten Linde, responsible for the design of these watches, has – in my opinion – a good vision on what a modern sports watches should be capable of. This includes: all-round use (sports, casual, chic), having an integrated bracelet/strap, easy to use clasp, light-weight, touch and having a chronograph that is always and immediately usable (so no screw-down pushers that the Rolex Daytona and Audemars Piguet Royal Oak Chronograph have). Bert and Dennis already noted something about the crown and the difficulty to operate, so I am not going to be the third one. 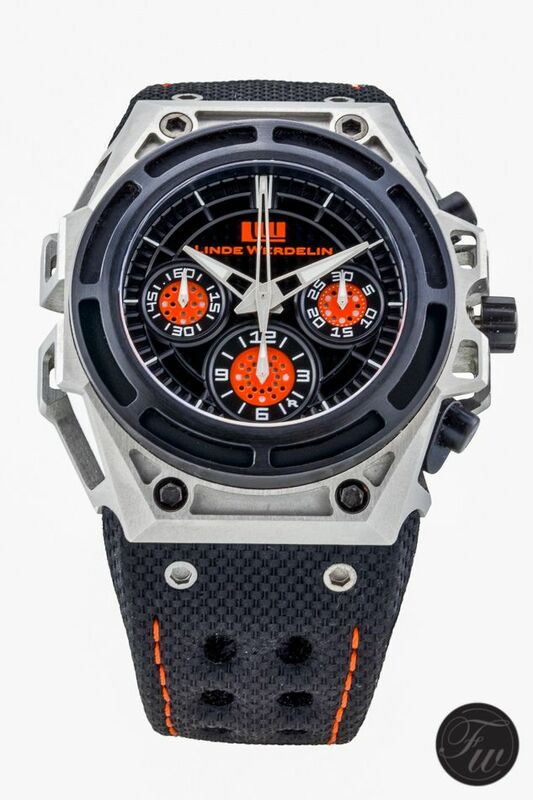 My only concern on the Linde Werdelin SpidoSpeed Chronograph is its price point. Including VAT, the SpidoSpeed Black Orange lists for €12.720,- Euro. I don’t believe that this amount is too much for this watch, I only think that Linde Werdelin has a lot of competition in this price range from ‘big brands’. On the other hand, with the annual price increases that Audemars Piguet is using for example, it is just a matter of time that these Royal Oak models will become too expensive for a lot of watch enthusiasts in the < 15K Euro price range. 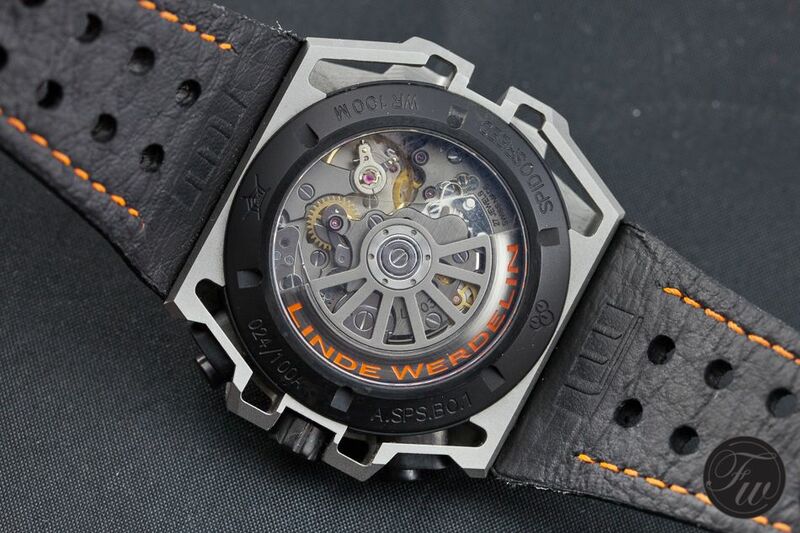 In the end, Linde Werdelin has proven that they are here to stay. With their Spido-family and Oktopus II watch they have matured to a well respected and serious watch manufacturer. A watch like the SpidoSpeed Black Orange chronograph would definitely be on my list if I was seeking a new & high-end timepiece with a chronograph complication.